When Gabriel Escobedo toured Indiana University, he was skeptical. He knew the Midwest would be very different from his home in Dallas-Fort Worth, Texas. Then, his tour guides took him to La Casa. 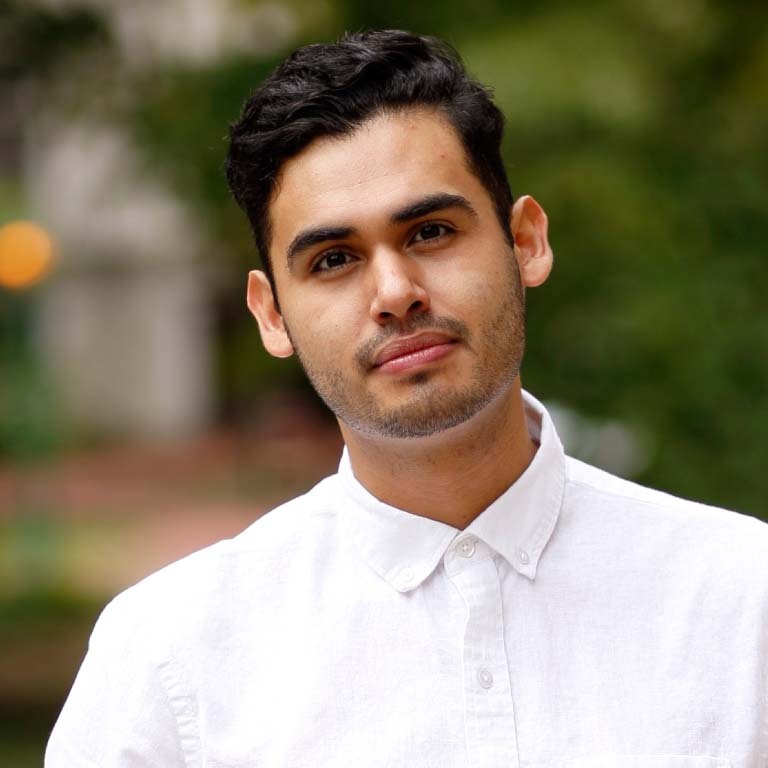 Indiana was among several graduate anthropology programs Gabriel was considering, but its Latino cultural center held his interest in ways other universities couldn’t. He knew he’d have a place at IU, where the Latino population was small, but tightly knit. For students who have experienced culture shock, the La Casa Latino Cultural Center is a place where they can feel like they never left home. Cultural centers at IU offer minority students comfort, as well as tutors, mentors, and counselors. The centers also educate the IU community about the history, cultures, and perspectives of minority groups through events and other outreach. That was one of the reasons I chose IU. I knew if I needed a home, La Casa would be there for me. There are smiling faces, people yelling and poking fun, then laughing hysterically. There are desks and chairs, but quickly you learn this isn’t a place for work. This is a place for community. It’s also a place for learning—and that word is used broadly at La Casa. It could mean free tutoring and other academic support. Or, it could mean educational outreach, sharing Latin culture and social issues with the IU community and beyond. Gabriel says he’s learned a lot about his own culture and what it means to be a Latino in the United States. Most importantly, he’s learned how to share that with others. One of the many ways Gabriel is bridging that gap is through dance. Gabriel, whose Ph.D. specialization is in Latin dance, began using La Casa’s space to teach some friends a few moves. La Casa’s administrators were so impressed with his passion and appreciation for dance and Latin culture that they asked him to create a cultural dance series that would cover a variety of Latin dances. That evolved into Paso a Paso, a series of community salsa workshops he hosts throughout the year. The program offers a comprehensive cultural approach to first understanding the history and mindset behind the dances, then learning the steps. 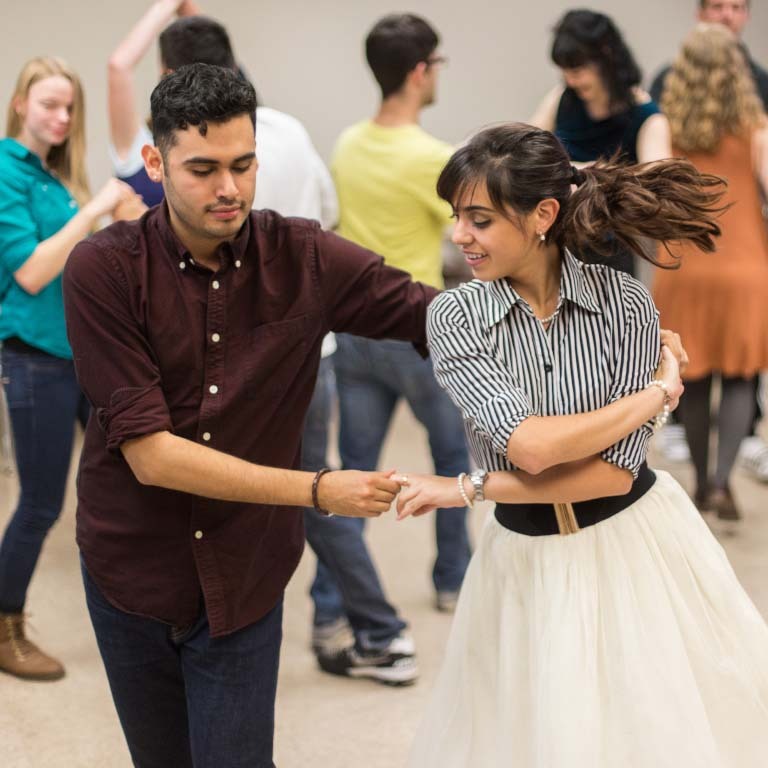 Gabriel invites Latino students to get in touch with their roots, but also encourages IU students and the public at large to learn about Latin culture and embrace the way of life and community that comes with the dances. The program is not only meant to bring Latino students or the Latino community together, but also to share with non-Latinos what it means to be Latino. Some community members come to the workshops, but stay on the periphery.